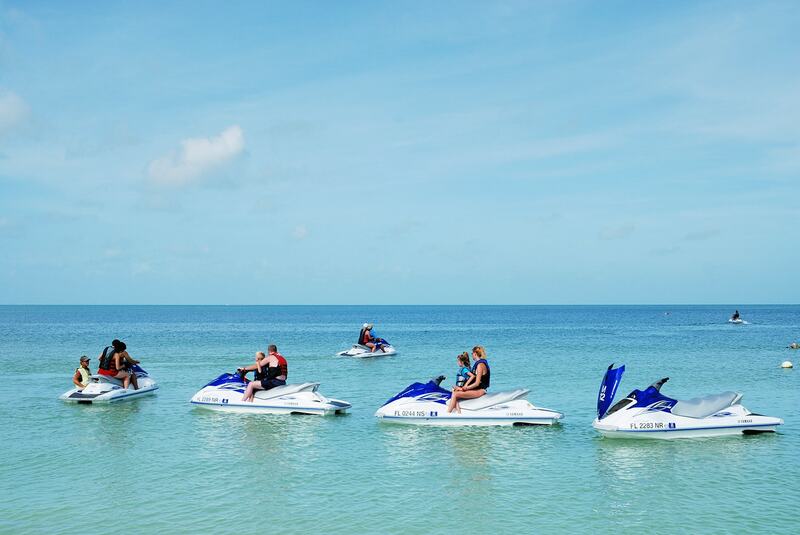 Take a 28-mile guided Key West Jet Ski tour along Key West’s beautiful shoreline and enjoy a thrilling day under the glorious sun. 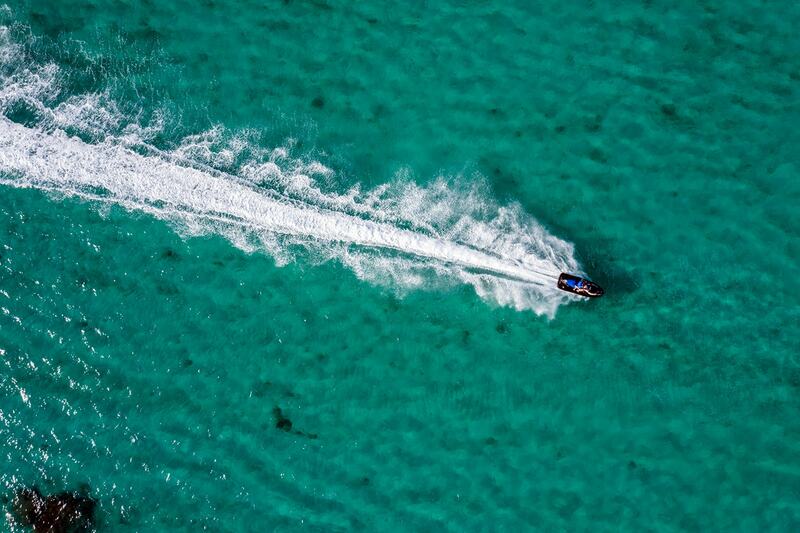 Feel the rush as you speed off aboard one of our well-maintained Jet Skis on our Original Key West Jet Ski tour. Yes, this is the first and original Jet Ski tour offered in Key West. Start your tour in the Atlantic Ocean, then race your way to the Gulf of Mexico, and finally trace your route back to the Atlantic. You can ride solo or tandem on this 2-hour journey to some of the island’s most breathtaking natural spots. Start your tour by meeting up at a 5-star resort. Here, you will receive brief instructions and orientation from our experienced guide, who will demonstrate the proper handling of a Jet Ski. 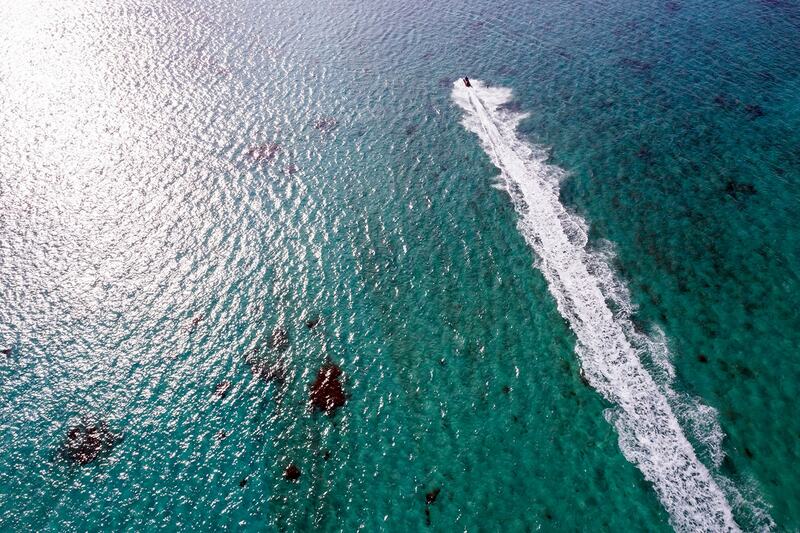 Here at Key West, we value your safety so we want to make sure that you can confidently handle and maneuver a Jet Ski. Follow your guide as you cruise over the pristine waters and enjoy the cooling tropical breeze and splashing saltwater. Get ready to stop at 5 to 6 scenic spots unique to the island. Our licensed guide may bring you to the Southernmost Point, a painted buoy that signifies the southernmost part of USA. You may also pass by the Key West Bight which is a historic seaport lined with restaurants and bars. Here you can watch as large tarpons surface and eat small fishes. You may also pass by the Sunset Key, an exclusive residential island off of Key West. These are just some of the possible highlights of your journey. Enjoy half an hour of free time to go wherever you want within this 28-mile guided tour. You can play around and test the speed of your Jet Ski. Create waves as you maneuver along the water and safely race with your friends. You can also choose to dive in the water for a quick dip to cool down. After the 2-hour journey, you are back at the resort where you can take a quick shower and relax by the pool or on the private beach. This tour is available every day, all year round. You can choose to depart in the mid- morning or late in the afternoon as you prefer. Booking this tour is very easy. You just need to visit our website, choose your date and time, and pick between a solo or tandem Jet Ski. It is quick and hassle free. As soon as you confirm your booking, one of our agents will send you a confirmation voucher through email with all important details. Our Original Island Key West Jet Ski Tour is something that you should not pass up. Experience nature firsthand and learn the history of Key West along the way. Do not wait too long. 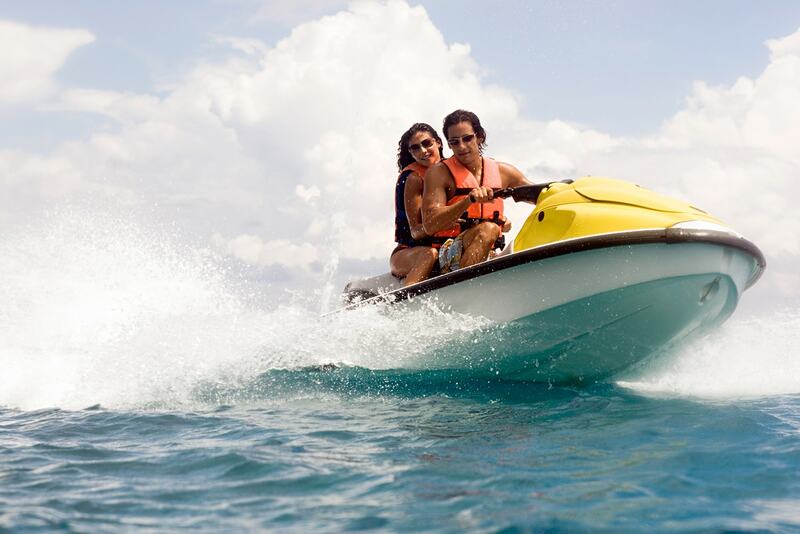 These popular tours fill up quickly so book your Key West Jet Ski Tour now. Check-in time: Please check-in 45 minutes before the activity start time. Yes, we provide complimentary pick-up and drop-off to your location. Please note your pick-up location when booking your tour. What are the age limits to drive a Jet Ski? To drive your own ski (single) you must be at least 16 years old with a VALID ID. However, you must take a boater's safety test (this requires that you arrive 1 hour prior to departure to take the safety test) unless you already have a valid boater's license (must be shown at check-in). 14-15 year olds can drive the ski if accompanied by an adult as a rider. If you are born in 1988 or later, you won't be required to have a boater's license or safety test. You must bring a valid photo ID and credit/debit card with you to check-in. This is required so you can fill out the liability paperwork. 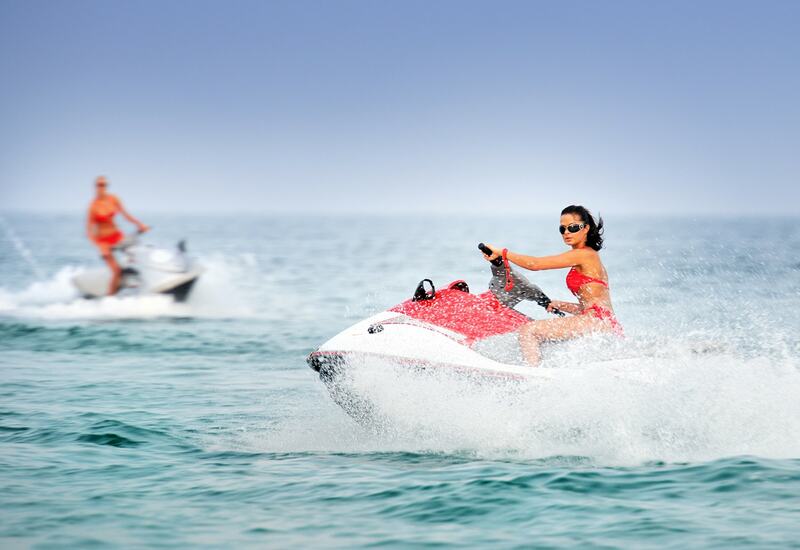 Guests will enjoy a 90 - 120 minute action-packed jet ski tour of Key West. Feel free to arrive early at our four star resort location and relax on Key West's finest private beach.